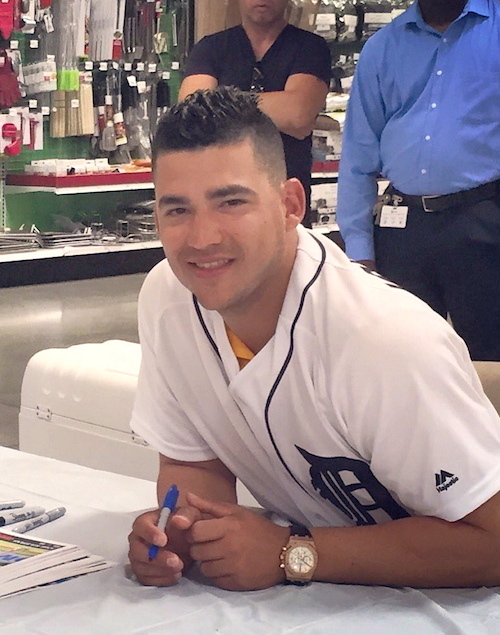 Earlier this month, Tigers shortstop Jose Iglesias took part in an autograph appearance at a Meijer grocery store in Detroit. The happening was captured by iFolloSports.com Michigan based correspondent Lance Martinez. Iglesias, who is a native of Cuba, started his career with the Red Sox back in 2011, before getting traded to the Tigers during the 2013 season. The 26-year-old, who is more known for his defensive abilities, was named to the AL All-Star team last season. This year, Iglesias has hit 3 home runs and driven in 19 runs for the 40-38 Tigers. Tigers fans can view several other behind the scenes original stories, chronicling team over the past several years.